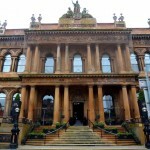 Places to Stay | Belfast, Northern Ireland. 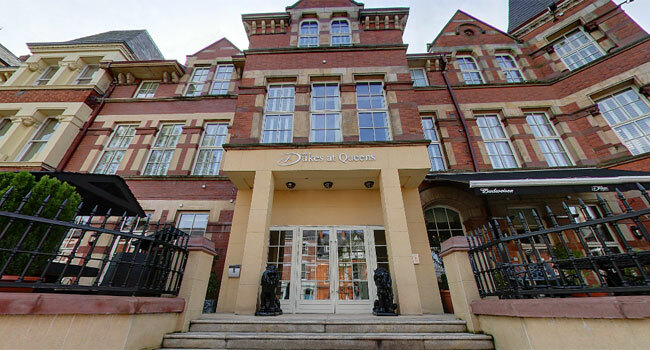 Dukes at Queens is situated within a few minutes walk of Belfast’s famed Queens University and Botanic Gardens. 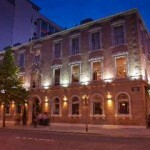 An established feature on the corner of University Street and Botanic Avenue, the elegant Dukes always enjoyed a pretty good reputation for its rooms and its restaurant. 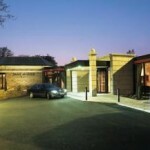 Dukes at Queens is a boutique hotel, rich in contemporary style and modern sophistication. 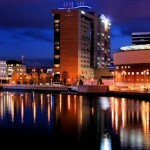 The sleek and luxurious rooms offer an excellent place to stay in Belfast and have individually controlled air conditioning, tea/coffee making facilities, satellite TV, free wired internet access and laptop safes. The modern en suite bathrooms have bathroom suites by Villeroy & Boch with granite tops, heated towel rails, anti-mist mirrors, walk-in drench showers and/or sumptuous baths. 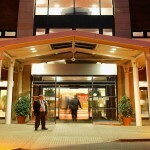 Dukes Brasserie offers a wide choice of continental and full breakfasts, delicious lunchtime specials and evening meals. A tapas menu and a cocktail bar are also available.